Finding the right health and fitness resolution can be tricky. Many of us make them at the beginning of each year, vowing that this will be the year when we finally get serious about healthy living. Unfortunately, only a few of us wind up sticking with those resolutions. It’s important to choose the right resolution or goal. You want to make sure you choose the right resolution and set yourself up for success. For most of us, it’s smart to choose a resolution that’s not too extreme. You won’t want to choose a resolution that’s all-or-nothing, which can push you to do so much you get overwhelmed. 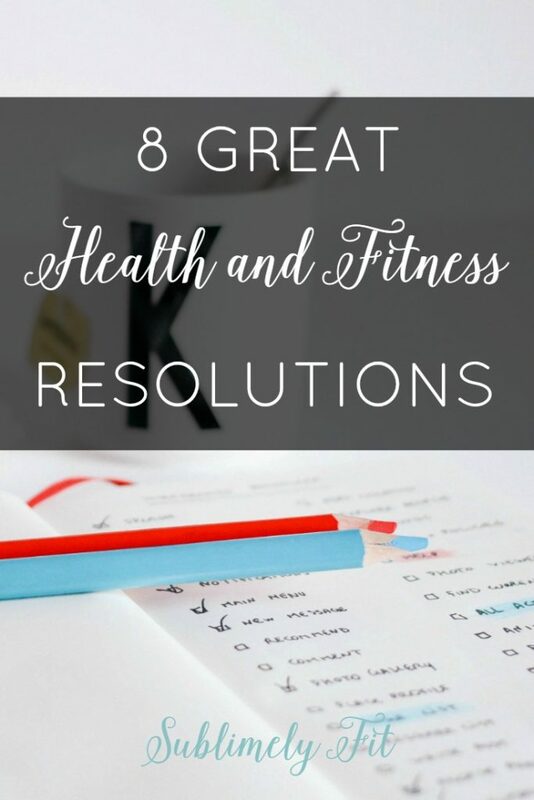 If you’re looking to get moving on your wellness journey this year, I’ve created a list of seven great resolutions to help you live healthier. These resolutions will help you make healthy choices without being so overwhelming you’ll never follow through. I hope they’ll help you lead a healthier life this year! Work out at least 3 times per week. I like this resolution because it’s easier to reach than “I’m going to work out every day.” It also leaves some wiggle room because it doesn’t say how long you have to work out. If you’re too busy to spend an hour at the gym, go for a 20 minute walk. As long as you’re consistently getting active, you’ll get health benefits. 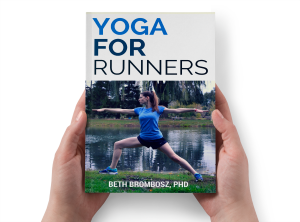 Work toward a PR. Whether you’re a runner, a lifter, or you’re just generally looking to get stronger, a PR is a great goal to work toward. You could work to hold a plank for a certain amount of time, train to run your fastest half marathon, complete a HIIT workout faster, or lift heavier. Competing against yourself is the best way to compete! Need a #health and #fitness resolution you can actually keep? Try these! Eat more fruits and veggies. I’m a big fan of this resolution because it focuses on adding healthy foods to your diet, not eliminating foods. It’s very different to focus on what you can have instead of what you can’t have. It’s also better than simply wanting to “eat healthy” because it’s not as vague. Aim to get your 5 servings of veggies each day and a few servings of fruit, too. Switched processed grains for whole grains. Getting more fiber in your diet can make a huge difference in the quality of your diet. Whenever possible, try to eat whole grains, and incorporate healthy options like quinoa and amaranth as much as you can. Adding fiber also helps you reduce the net carbs you’re eating, which can help you lose weight, if that’s a goal for you. Create and follow a bedtime routine. Getting enough sleep is so important for your health. Sleep helps you stay lean by keeping your cortisol levels in check. And, it helps you recover from your workouts, too. Unfortunately, many of us struggle to get high quality sleep. Getting a good bedtime routine down will help you fall asleep more easily, which will help you get the sleep you need. Avoid screen time (blue light can wake you up) and teach your body to wind down before bed. You’ll be surprised at how your new routine will help you fall asleep faster. Meditate a few times a week. I won’t lie; meditation is tough to master. Your mind wants to wander when you first start to meditate, and most people quit meditating pretty quickly because they get bored or struggle to focus. Luckily, the more you meditate, the easier it gets. And, meditation has huge health benefits like helping you manage stress and improving memory. You won’t regret adding meditation to your routine! Be more mindful. Mindfulness is one of the biggest strategies you can implement to live a happier life. When you’re mindful of your thoughts and emotions, you learn to live more in the present moment. You can let go of the stress of the past and the future, which helps you reduce worry and anxiety. You begin to focus on the things that you can control and let go of what you can’t. Over time, you worry less, helping you feel happier and more content. Take time for yourself. Prioritizing self care is a great resolution to make. A lot of us spend so much time taking care of others, whether it’s at work, at home, or both. Often, that means that we forget to take time to take care of ourselves. Remember that you have to take care of yourself to have the energy to take care of others. Don’t feel guilty about taking the time to refill your energy reserves. Make a resolution to love yourself! What’s the most successful resolution you’ve ever made? 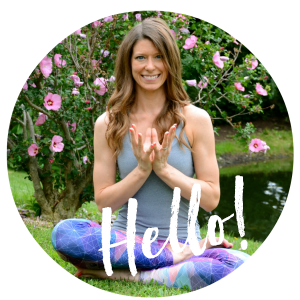 being more mindful and developing a new workout routine are definitely on my list! Meditation is something I still struggle with. I will be consistent for a little while and then completely fall off of doing it again. Simple swaps–like whole grains–can make such an impact. And meditation is something we could all benefit from! These are great ideas for resolutions… I love them because they are focused on small changes rather than something huge like (go vegan, lose 20 lbs) which I think is the reason why so many people fail when they set resolutions. I want to be more deliberate with my time. I’m a champion time waster which means I can spend a lot of time doing nothing and then I get stressed and overwhelmed – not fun. All of these will be achieve if the determination of the person is whole.